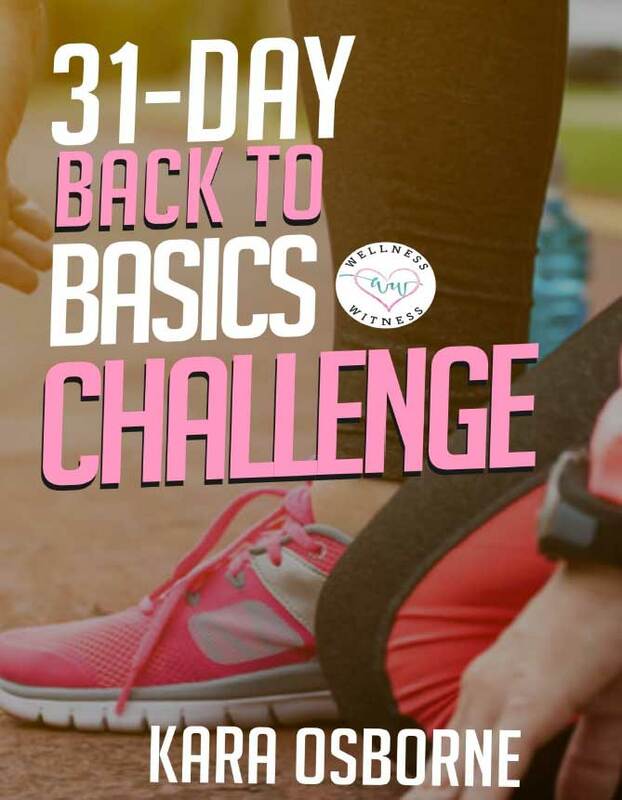 We recommend you begin the study on a Monday as this is how the 31-day challenge is set up. (This digital download will be delivered to your email address as soon as payment is submitted. If you don't see the download email, check your Spam/Promotions folder first. If you still can't find it, email kara@wellnesswitness.com). 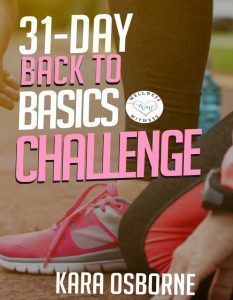 This digital download will lead you through a 31-day challenge to begin taking back control of your health journey and to find joy along the way. It features nutrition teachings, exercise information, tips, strategies, workouts, recipes, and more. This 89-page guide will lead you through day-by-day with a teaching topic, printable files, encouragement, and more! At the end you'll find links to six full-length workouts plus printable pdf downloads, and my top five favorite healthy (kid-approved!) recipes. Have a Coupon Code? Enter it Here. Want some encouragement dropped directly into your inbox? Sign up here to be added to our TRIBE of brave and FREE world changers! I'm giving away a free copy of my ebook "FINALLY FREE". Sign up to get your digital download copy today!